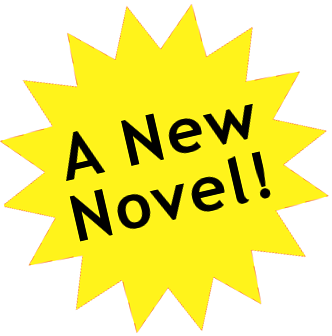 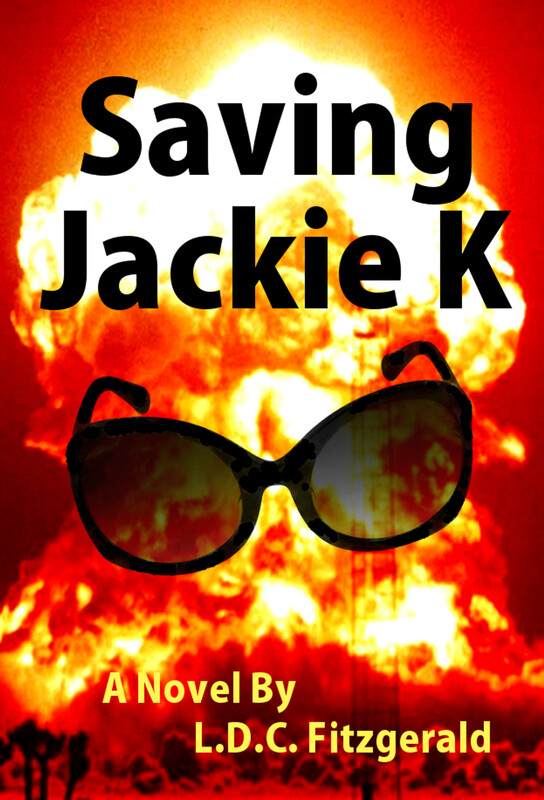 In Saving Jackie K Chapter Forty-Six  Five days before the assassination, the team takes the day off to attend festivities at Mesquite Championship Rodeo. 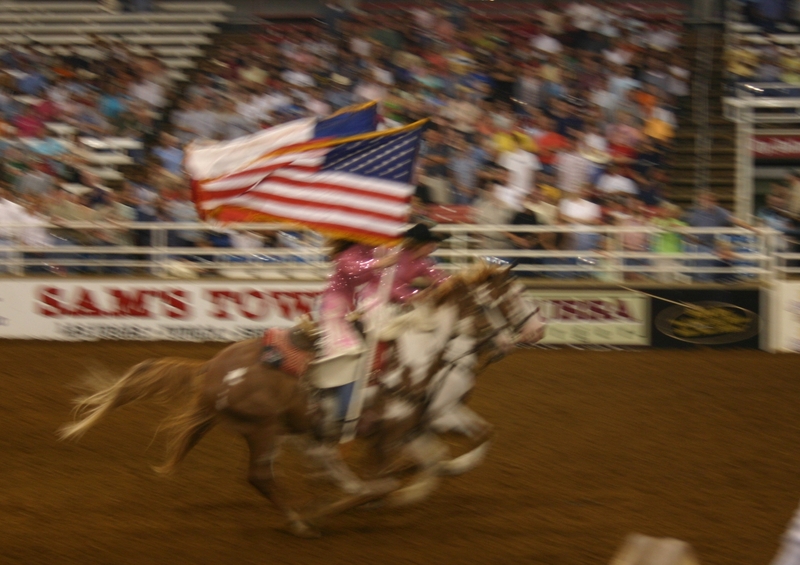 They cheer for cowboys competing in dangerous events such as Bronc Riding and Bull Riding. 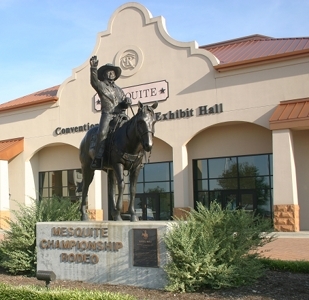 In modern day, this classic statue of Rodeo Man greets patrons at the Mesquite Championship Rodeo, and serves as a tribute to founder, Neal Gay. The Grand Entry - a parade of performers and patrons riding on horseback around the dirt field to strident marching music. 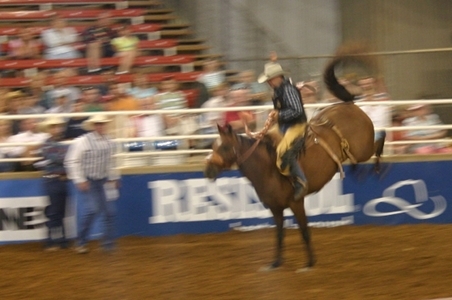 Performers sprinting their horses across the field at the conclusion of the Grand Entry. 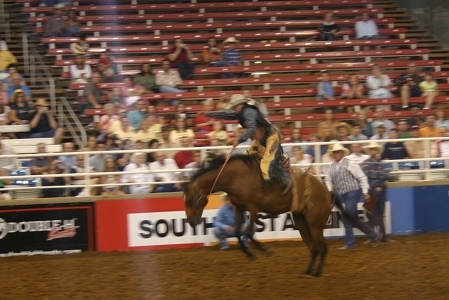 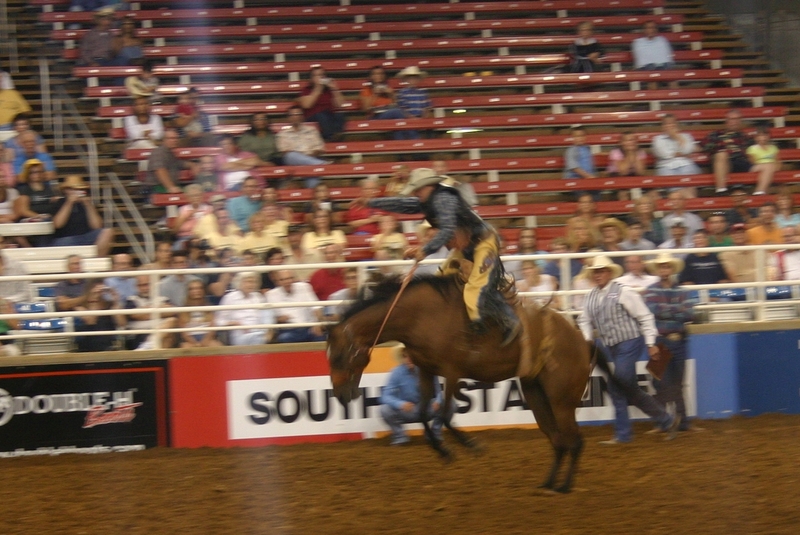 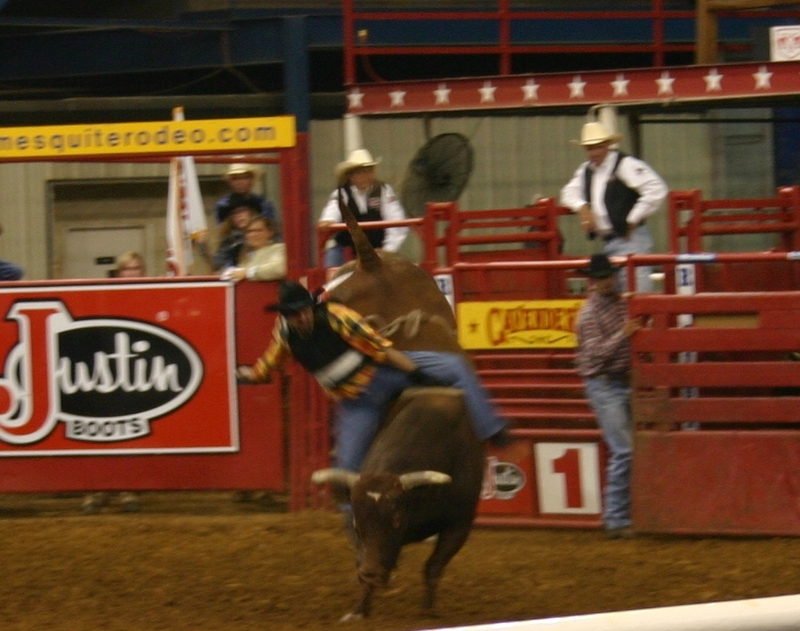 A Bronc Rider strives to maintain control of his bucking charge until the eight-second buzzer sounds. Far more dangerous than it looks, many Bronc Riders are pitched off after a few seconds. 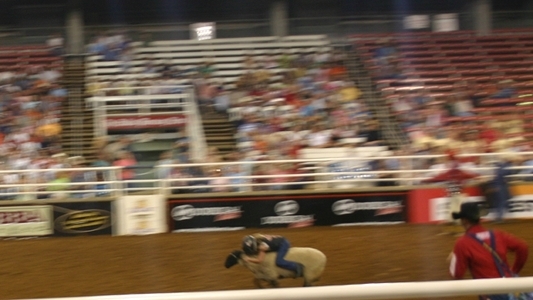 Misguided parents encourage their small children to race sheep across the field in Mutton Bustin'. 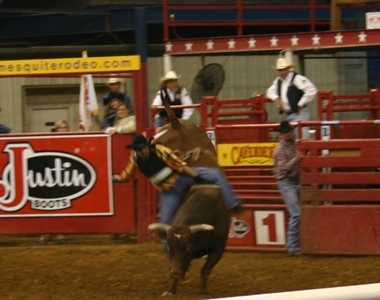 The rodeo achieves new heights of lunacy in Bull Riding as grown men straddle the animals and strap their left hands to ropes tied around the bulls' chests. 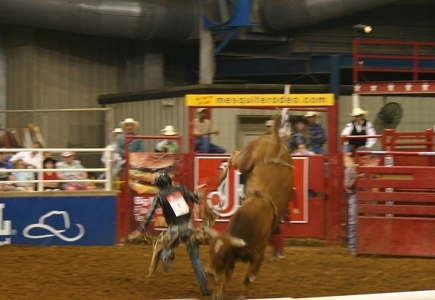 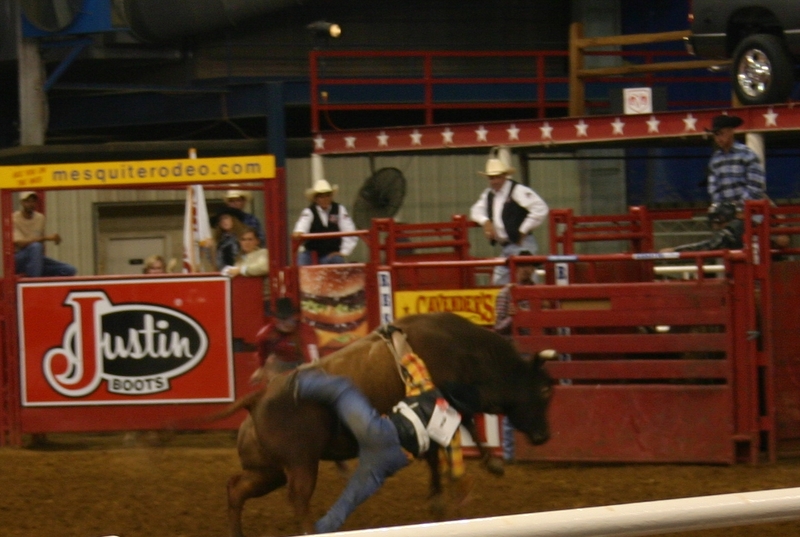 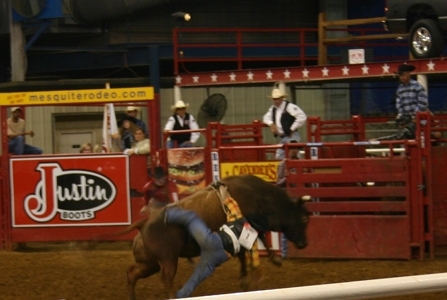 A Bull Rider fails to remain seated as the enraged, two-thousand-pound beast bucks and snorts beneath him. 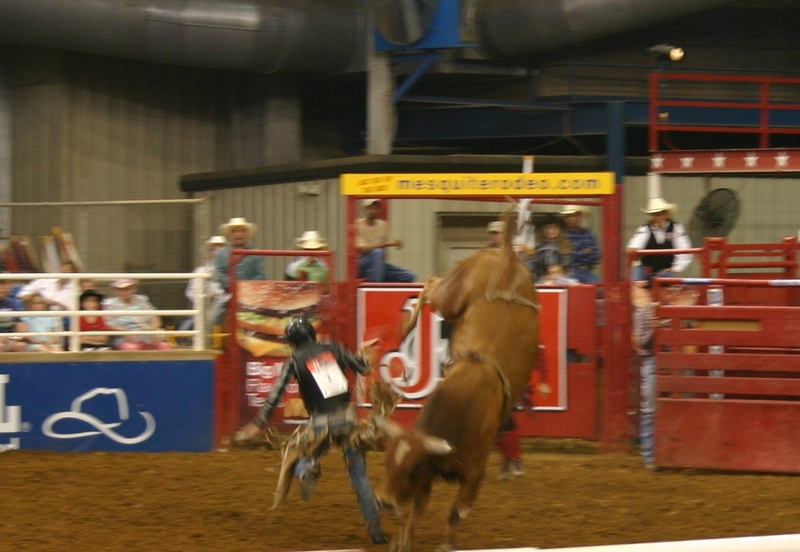 A Bull Rider is tossed to the ground, and runs like hell to avoid being trampled.